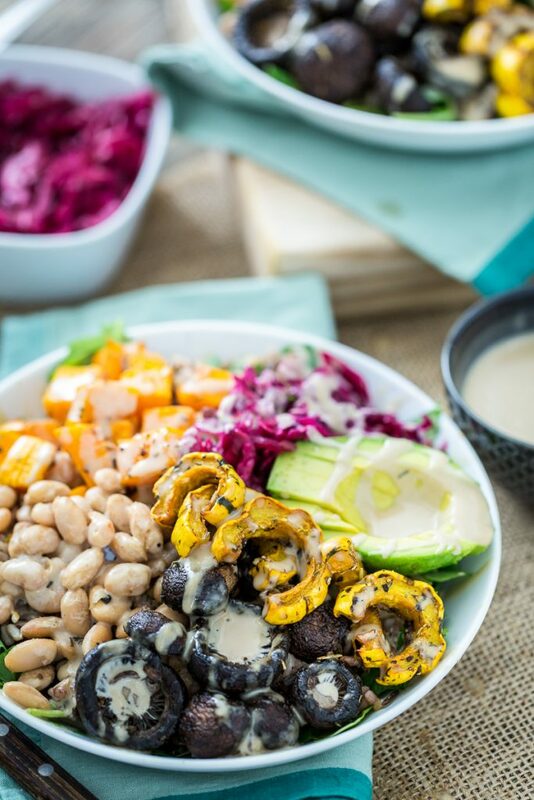 If you’ve scrolled through Pinterest or Instagram at all lately, you’ve undoubtedly come across the vibrant-hued, no-filter-needed food trend known as Buddha bowls. And don’t lie, we know you’ve also stopped mid-scroll to admire at how pretty and yummy they look. 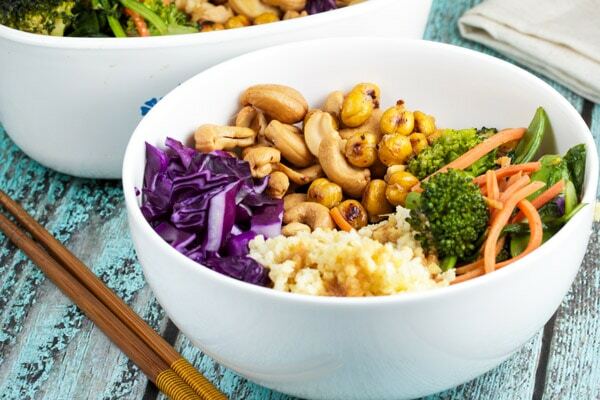 Buddha bowls (appropriately named because they resemble the round tummy of a Buddha) are loaded with healthy grains like quinoa and brown rice; vegetables from all over the color spectrum; protein, like tofu, chickpeas or chicken; and nuts, seeds and/or dressing. The great thing about these masterpieces is that they’re overflowing with macronutrients that will keep you energized throughout the day (take that, afternoon slump), and they can be customized to fit your dietary lifestyle, covering everyone from vegans to gluten-free peeps. We’ve compiled some of the most delectable, satisfying recipes for you to try out. Whether you’re craving Mediterranean, Thai, Indian or Mexican, we’ve got you covered. And we’re rooting you on as you get mentally prepared to go hard at your local produce aisle. Falafel: a protein-packed ball of goodness that will change your life for the better. Get the recipe for this bowl here. This bowl is perfect for your spicy, creamy food-cravings. Get the recipe here. It’s like Chipotle, but more clean-eating-friendly. Get the recipe here. 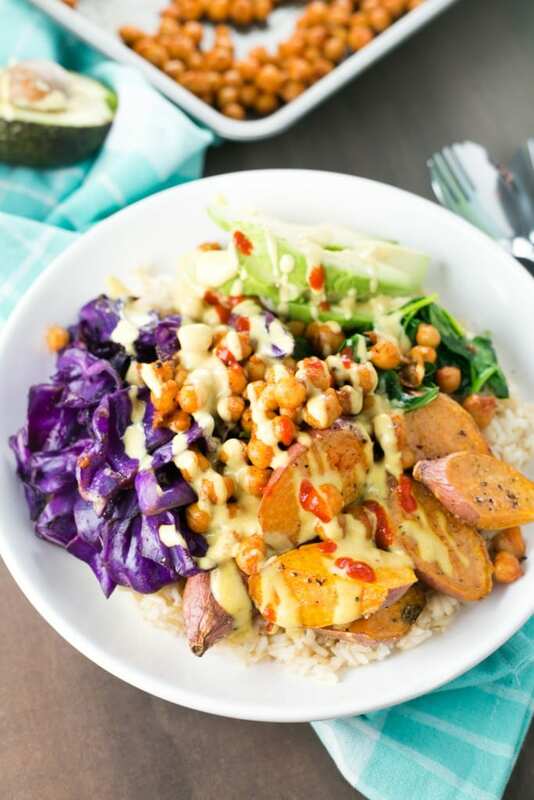 Sauerkraut may not be your go-to Buddha-bowl filler, but we recommend you give it a try! It has amazing health benefits for digestion, heart health and your immune system. Get the recipe for this bowl here. This is for all you Sriracha fans out there. Get the recipe here. For a lighter meal with an Asian, tropical flair, check this out! Get the recipe here. …Because you can never go wrong with avocado. Get the recipe here. This is for those times when you want Chinese takeout, but you don’t want the regrets. Get the recipe here. Taste the rainbow. Get the recipe here. Thai food is always bae, and so is this bowl. Get the recipe here. If you have difficulty finding the ingredients for these recipes, or if you’re feelin’ your cooking skills and want to make the recipes your own, feel free to use these bowls simply as inspiration.